You know Peter Parker’s story. 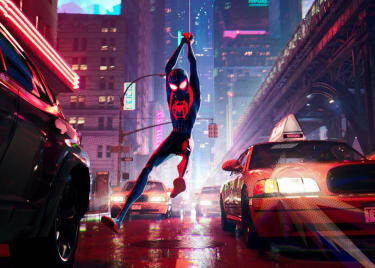 Now it’s time for Miles Morales to get the spotlight, in SPIDER-MAN: INTO THE SPIDER-VERSE. 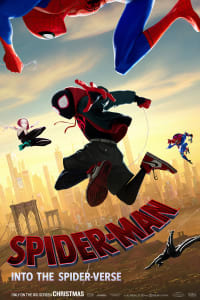 Sony’s animated adventure focuses on Miles, who becomes the world’s web-slinger after being bitten by a genetically-enhanced spider. Or we should say “his world” — there are many worlds in this movie. Before he can learn the ropes of the superhero business, Miles finds himself face to face with spider-people from different realities. Don’t let the lack of powers fool you. Wilson Fisk is a force to be reckoned with. In the Ultimate comics, a prime source for INTO THE SPIDER-VERSE, Kingpin is a ruthless mob boss with a cunning mind and a knack for violence. He has a number of hitmen and corrupt officials at his disposal. He often prefers, however, to take a more personal approach with his adversaries. His remarkable physical strength makes him a feared figure in the criminal underworld and allows him to take on heroes like Spider-Man with relative ease. Still, unlike most Spider-Man villains, Fisk isn’t overtly sinister. The violent mobster hides his ruthlessness behind the facade of an ordinary businessman. Aside from his criminal empire, he also dedicates a great deal of time to curing his ill wife, Vanessa. In INTO THE SPIDER-VERSE, Kingpin develops a supercollider for mysterious purposes. Miles Morales and other spider-people have to stop his nefarious plans before he opens a black hole that destroys the multiverse. More than once, Miles runs afoul of a big, tough guy in a purple suit and cape, with weapons that can tear the toughest materials to shreds. This is the Prowler, and he’s a serious problem for Miles Morales. The Prowler doesn’t have any powers, but he’s trained to peak physical condition. He also has high-tech gear that makes him more than a match for just about anyone. When he decides to track a target, it’s basically game over. The Prowler identity has been used by different characters in the comics. 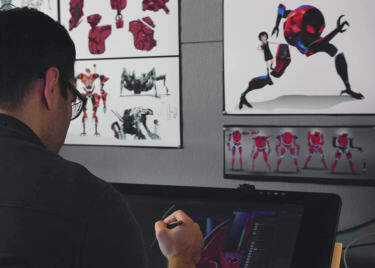 In INTO THE SPIDER-VERSE, the man behind the mask is a mysterious figure. We do know that he has led a life of crime, and formerly worked alongside someone else who left the underworld behind. The man who is Prowler allied with Kingpin, and works as his enforcer. The purple-clad baddie is relentless and vicious — and almost as dangerous as his boss. You’ll notice that both bad guys lack powers. That’s probably a conscious decision. 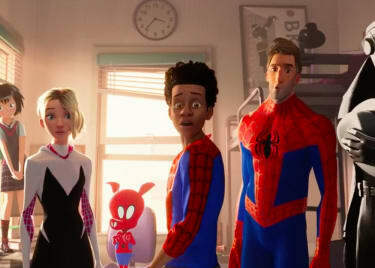 INTO THE SPIDER-VERSE, despite its big, weird concept, is more down to earth than most superhero movies. It’s fitting that Miles and the other heroes have to reckon with “normal” people — or people who are more normal than Thanos, at least.